Handy backup DVD and other Novosoft software products. With Novosoft Remote Backup Service you can upload to server, save and keep, restore and retrieve necessary documents of any format. So you don't need to store backup media and you have access to your data from any computer. All data protected by strong encryption. Novosoft Office Backup is a usable and reliable backup software designed for backupping your documents and important files to any type of storage media such as CD, DVD, HD-DVD, Blu-Ray, LAN, FTP or SFTP servers, etc. Strong file encryption and multi-choice zip compression on the fly, as well as many other useful features, will protect your data. 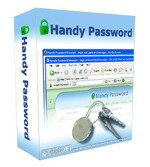 Handy Password is a secure password manager. It saves login information and fills web-forms with it automatically. All data saved by Handy Password stores in the encrypted file. You don't need to remember your passwords or save it in your browser anymore. RTF TO XML converts RTF files to XML according to the W3C Formatting Object specification and generates a pair of an XSL template and an XML textual data file. Multilingual support allows processing Japanese, Chinese and other documents. Testing Master is a load and stress testing tool for testing web sites and intranet applications. With Testing Master you can check performance characteristics and find bottlenecks of your web site. Program has many features, such as IP spoofing, multiple simultaneous test cases and more. Softempire - is a large resource of freeware and shareware software to everybody's taste. On Softempire.com you can download different utilities, games, multimedia software, software for pocket PC, educational programs and many other.